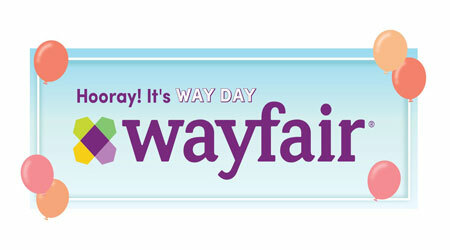 This Wednesday, April 25, Wayfair is planning a specialized holiday called Way Day to help consumers save on more than 70,000 of the store's products. It's a bit of an answer to Amazon's recent Prime Day, and likely not the last type of retail holiday we'll see. What techniques can you use to help your web page stand above competitors on Wayfair, Amazon or other furniture retailers? Differentiation is essential to allow your customers to feel like they're having a more personalized shopping experience. It's not too late to invest in this, 70% of all furniture stores haven't yet used any method of e-commerce. Statistics show 83% of consumers consider product content important to them when shopping for furniture online. This statistic should wake you up to the realities of what consumers really want and in finding ways to create content they'll love. Discovering what they want to see comes down to knowing more about customer expectations. One thing to scope out is whether consumers want to rely on photos specifically for their furniture purchasing decisions. It's worth noting 82% of shoppers want to see at least three online photos of furniture products before they buy. In this regard, posting as many high-quality photos as you can on your webpage should become a top priority. What's most essential is to hire a professional to take those photos so your furniture products look clear and detailed. Online shoppers want to mimic the real feel of shopping if they can't visit in person. Posting digital photos of your furniture is only part of the picture in what's going to influence a customer toward a purchase. They also rely on online reviews, something you should consider placing on your website. Embedding Google reviews isn't too challenging. You can simply go into the Google account and select the "Embed Post" option from their menu. Doing so conveniently posts those reviews on your webpage without doing a cut and paste. If you do the latter, it can run you into legal trouble with content usage rights. Making furniture prices noticeable and attractive to the customer. Don't ever attempt to hide the price of your products or you'll face your first-time visitors running off to a competitor. Sometimes offering price matching can interest your customers to keep prices fair. Detailed product descriptions so customers have a complete understanding of what they're buying. While pictures taken at all angles complement this, you'll want to include exact measurements, and the materials used in the furniture design. As you can see above, content is the deciding factor in enticing a customer to buy furniture. A good place to study how content (and pricing) work well is Amazon. They're a leader now in providing a marketplace for furniture and home goods retailers to sell their wares. Yet, Amazon has specific rules on what makes great content to fit their algorithm. Consider it similar to Google, a place offering numerous benefits to businesses, but requiring specific ways of doing things to rank high. Finding a resource where you can invest directly in content should become a top priority. Your content team can help create, manage, and optimize for the right forums. Another good investment is reading studies that show exactly what works on Amazon and what doesn't. You already know how important mobile is now for all websites. In the furniture and home goods industry, it's a bigger deal because many consumers do research about products on their smartphones before buying. In fact, 89% of consumers use their mobile devices to look up key information while visiting furniture showrooms in person. If you don't have initial info readily available in your showroom, a visitor is going to attempt to look it up online. Or, they may look at a competing site to see if they can get the same item for less. To create a well-optimized mobile site for your furniture products, you'll want to work with a dedicated team that can get it done for you correctly. The rules on optimizing have to adhere to Google's algorithms again, including creating a responsive design. Applying the latter is going to help you rank higher on Google, though it's a good web design practice overall. Your customers don't want to scroll across a page to see information or photos. Also, they'll leave your site if your page can't load within seconds. SEO may still confound you when it comes to web design. Even if you know some of the basics, it's best to have a web design team take this on for you to ensure you'll be found on search engines. A large part of this comes in researching keywords related to your furniture and home goods brand. To differentiate yourself from competitors, you'll want to create unique keywords while also creating ones you know people searching for furniture would use. We're starting to see voice search play a larger part in this, making it more essential to use a service with knowledge of future marketing technologies. Virtual reality complements this technological list when searching and considering furniture items.